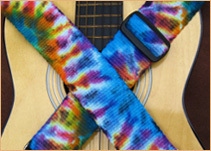 About - Weaver Guitar Straps - Play With Color! While a young woman in my teens, I discovered the inkle loom and weaving became a lifelong passion. This type of loom makes narrow pieces, no more than 6” in width. Within this narrow constraint, there are endless possibilities for combining colors into patterns. 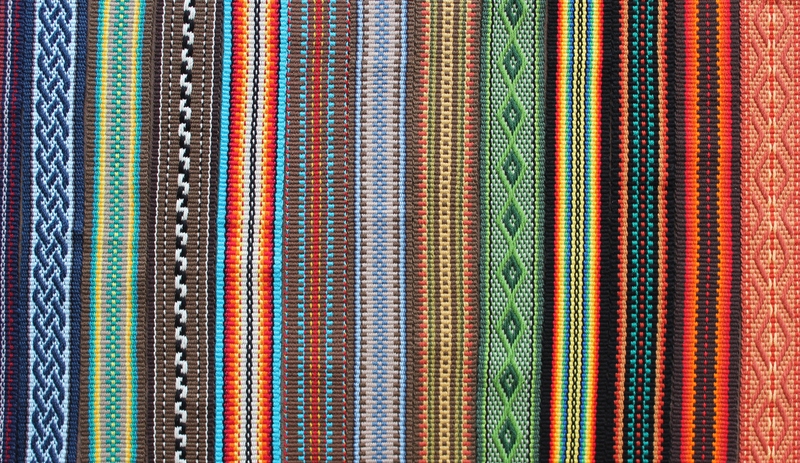 My idea in creating a woven piece is that it should be both functional and beautiful. I get great enjoyment out of what I do. I play with color, so you can, too! In February of 2012 I was invited to be a guest on “Darlene Carman Presents” which airs on San Jose CreaTV. Darlene and her husband gave me the opportunity to show off many of my woven items and talk about what inspires me and the type of things I like to create in this 28 minute interview. 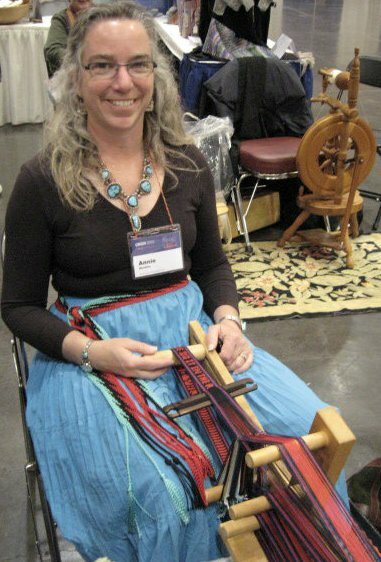 “Inkle Weaving with Annie MacHale” on the Conference of Northern California Handweavers website.